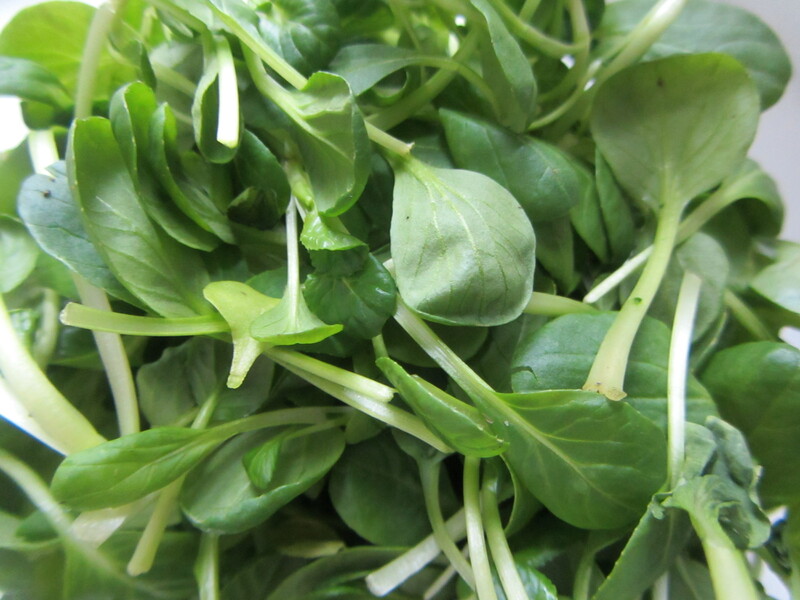 Bok choy, pak choi or tatsoi – how do they differ? Bok choy and pak choi are classified as cabbages, while tatsoi is an Asian mustard green, also known as “spoon mustard”. All belong to the brassica family with relatives like broccoli, Brussels sprouts, head cabbage, kale and collard greens. I found these tatsoi microgreens at the local green market. 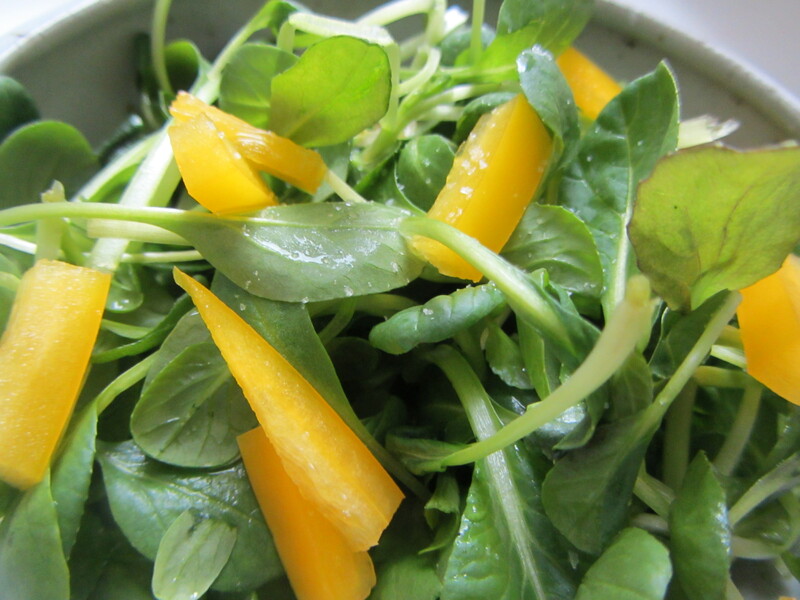 Grown in a hoop house, they could be steamed or blanched, but we enjoyed their delicate texture and sweet flavor in a raw salad. 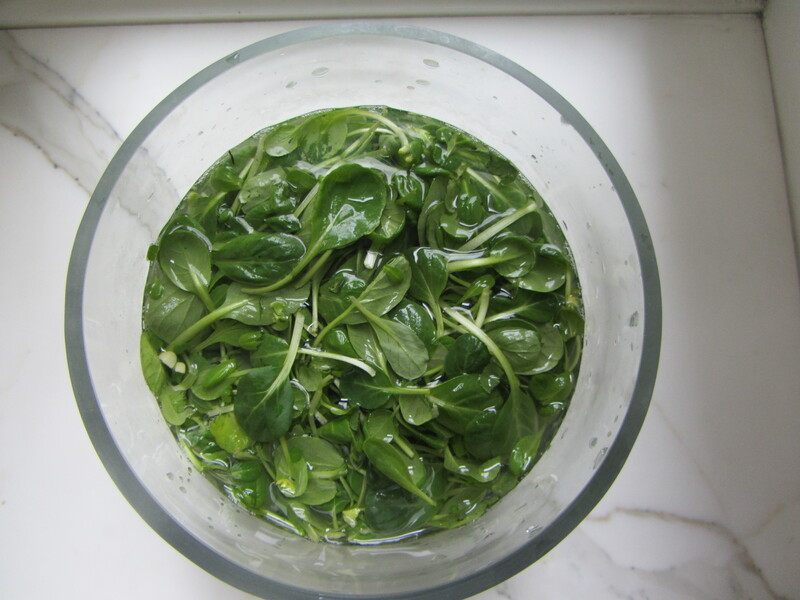 Process Wash the tatsoi well by immersing it in water. 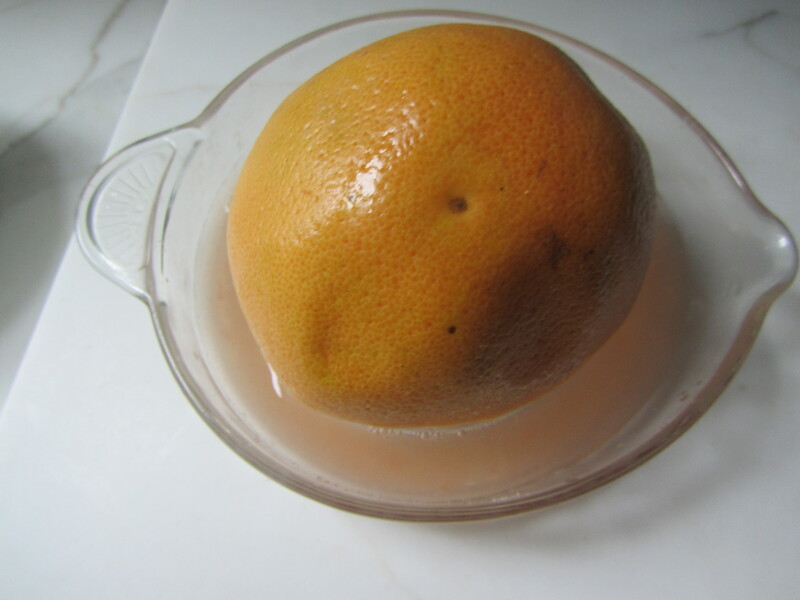 Strain and allow to dry (or use a salad spinner to dry). Trim any brown ends from the leaves. 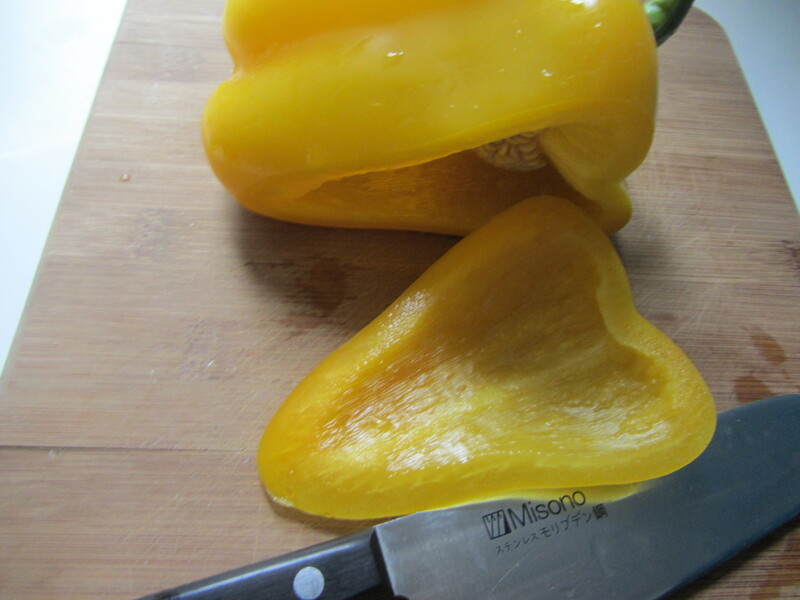 Wash the yellow pepper by immersing it in a separate bowl of water. 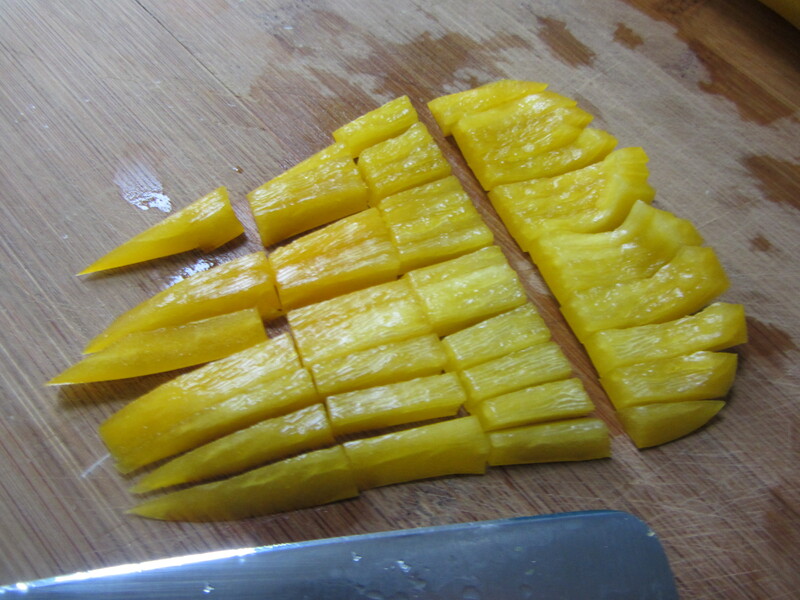 Slice off about a quarter of the yellow pepper. Cut this piece into very thin (one-quarter-inch-wide) strips. Cut the strips into quarters. 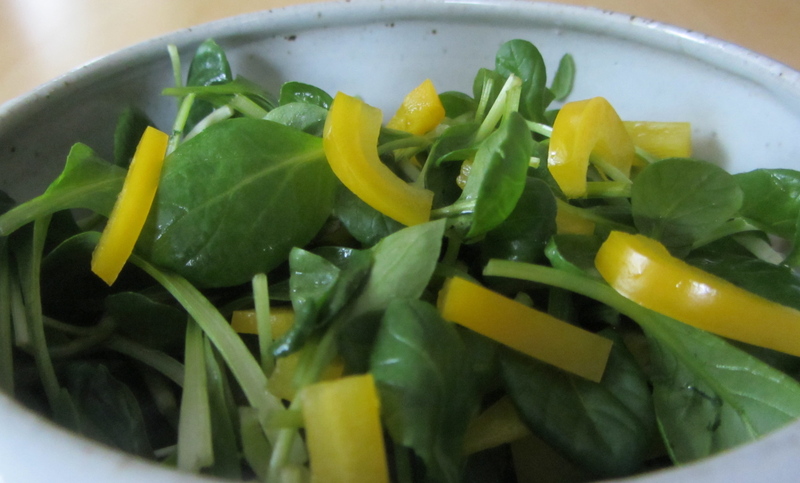 Place the baby tatsoi into a medium-sized glass or ceramic bowl. Scatter the yellow pepper pieces and mix. Sprinkle the sea salt on top. 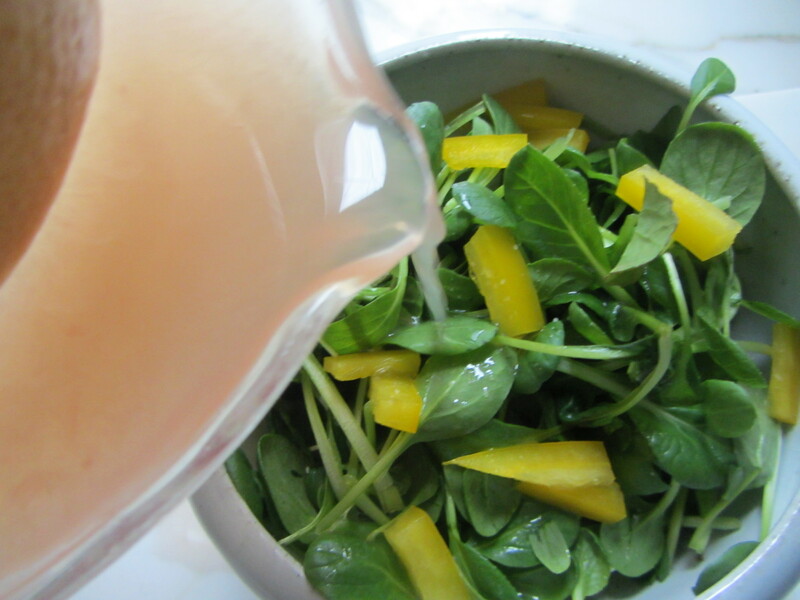 and drizzle the juice on top of the salad.